One of the first and most important steps to choosing vinyl blinds in Charlotte is knowing more about all the options that you have available. Many homeowners think they know exactly what style of window coverings they want, but it is often only because they are unaware of the other choices that they have available. That is where our experts at Sweet Shutters and Shades comes into the picture. Our job, as a local Charlotte window blind company and window treatment industry experts, is to inform you of the options that you have and assist you in deciding which one would be best. During our free in-home consultation, we find out more about the look you want to create, and other goals you may have for your window coverings. We even bring the showroom samples to your front door so we can show you what your choices would look like, once installed. You want to be able to live with, and love, the choices that you make, for years to come. Our team can help make sure that this happens. Give us a call today and let's get started working on your window covering project. With so many options for window treatments in Charlotte, it is hard to discern one from another. 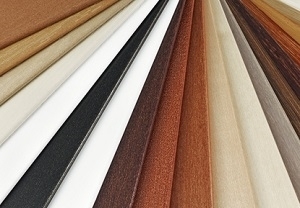 Even if you have narrowed it down to window blinds, do you know which material would be best for you? Here are some points to consider when deciding on whether or not vinyl blinds are the optimum choice for your home. While aluminum blinds are slightly more durable, vinyl window blinds do not show dents and creases the way aluminum blinds do. This is because vinyl has the ability to flex better than aluminum, without visible blemishes or damage. Vinyl is an easier to clean material, too. These blinds can be easily dusted off and as good as new. If a spray cleaner or even water comes in contact with aluminum, all you are going to see is streaks. Vinyl blinds are easier to customize, as far as creating looks or patterns, like wood grain. Aluminum has plenty of great color options available now, but lacks in pattern options. To find out more about all the reasons that you will be glad that you chose from our selection of vinyl blinds in Charlotte, give us a call today. We can schedule your consultation for any day of the week, morning, noon or night. Let Sweet Shutters and Shades show you what a difference it makes to work with industry experts. We want you to feel confident about choosing vinyl blinds. This is the best way get the look you want and the quality products that you deserve. If you would like an estimate for vinyl blinds in Charlotte, NC or the surrounding areas, please call Sweet Shutters and Shades at 704-980-4303 or complete our online request form.